1. 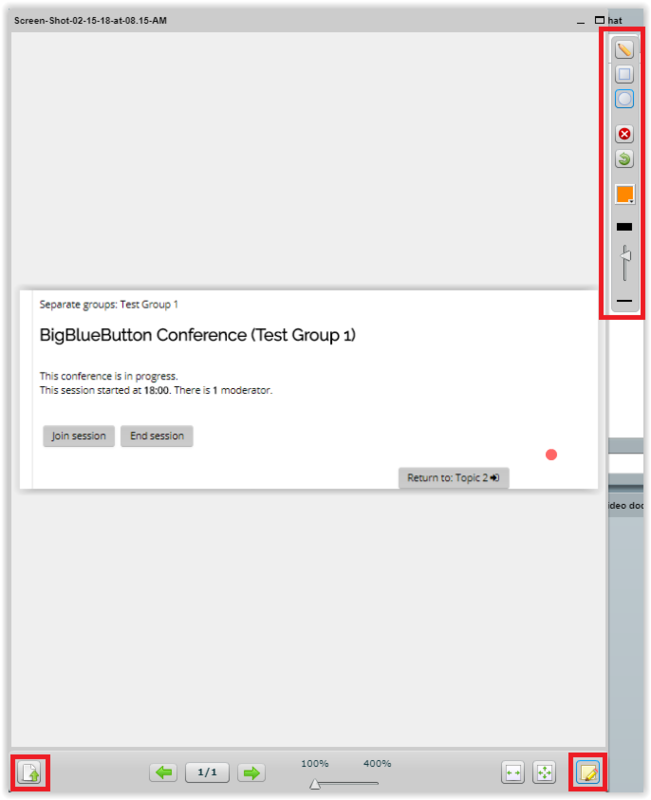 First things first, join the BigBlueButton conference you are interested in by clicking the Join Session button. 2. The conference interface will open on your computer. This is what it looks like. 3. On the left hand side of the window, the active users and listeners are displayed. The names and the status of each participant is listed. From these windows you can choose to switch the current presenter if there are multiple people who need to contribute to the conference. Also, there is a raise hand button if someone needs attention throughout the meeting. 4. 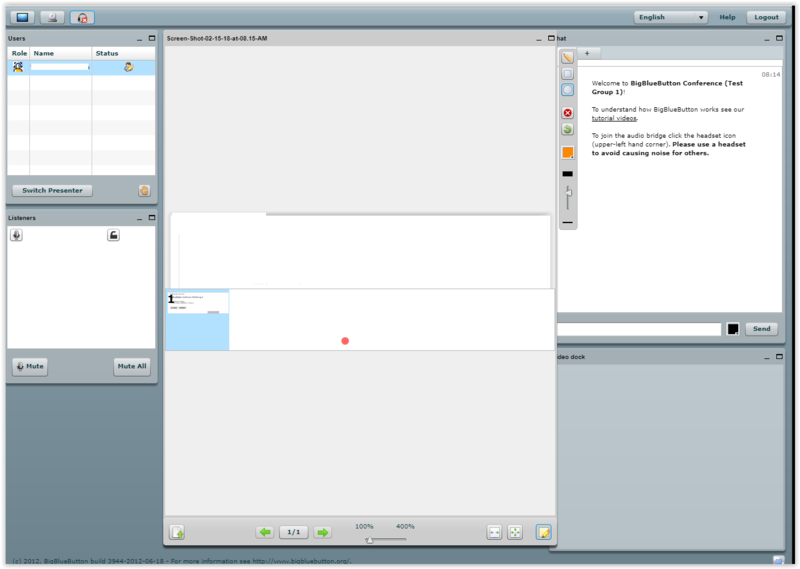 The large window in the middle of the interface is where the content for the conference is added, displayed, and edited. To add a file, use the Upload button in the bottom left corner of the menu. The button in the bottom right corner brings up the whiteboard which contains the controls for editing the presentation uploads. 5. The conference interface also includes a chat menu on the right side of the window. 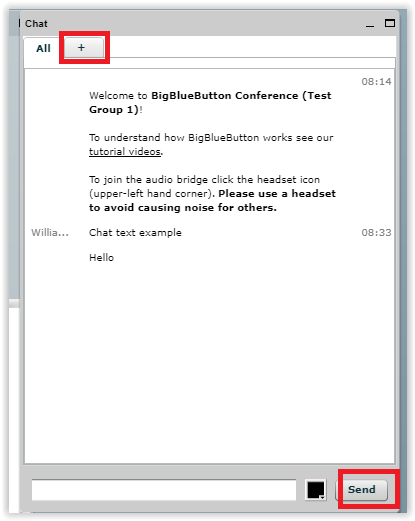 To use the chat, simply type your message in the text box at the the bottom of the chat menu and click send. You can also open a chat with a specific user by clicking the + tab at the top of the window. 6. The logout button is in the top right corner of the window. This will close the BigBlueButton interface and direct you back to Moodle. If you are the instructor, you should end the session by clicking the End Session button on Moodle.